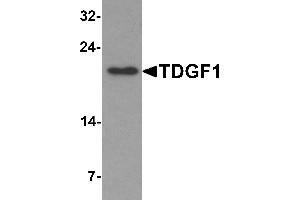 Immunogen Rabbit polyclonal TDGF1 antibody was raised against a 17 amino acid peptide near the amino terminus of human TDGF1. Background Teratocarcinoma-derived growth factor 1 (TDGF1 or Cripto) is a member of the epidermal growth factor-cripto FRL1 cryptic protein family and is involved in the activation of several different signaling pathways during embryonic development and cellular transformation. It is first expressed in the forming mesoderm during gastrulation but later in development the expression is restricted to the truncus arteriosus of the developing heart. This suggests that TDGF1 mediates the progression of epiblastic cells that give rise to the mesoderm. 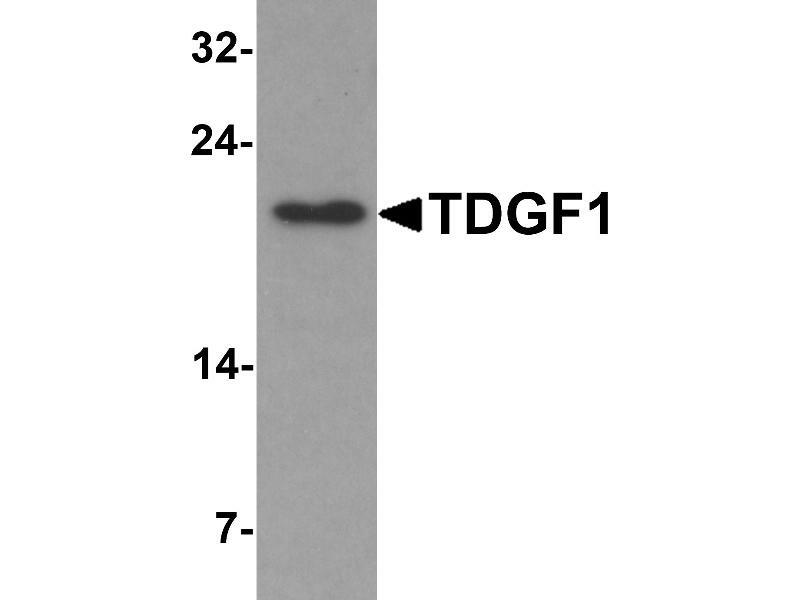 TDGF1 overexpression is characteristic of human gastric and colorectal carcinomas. 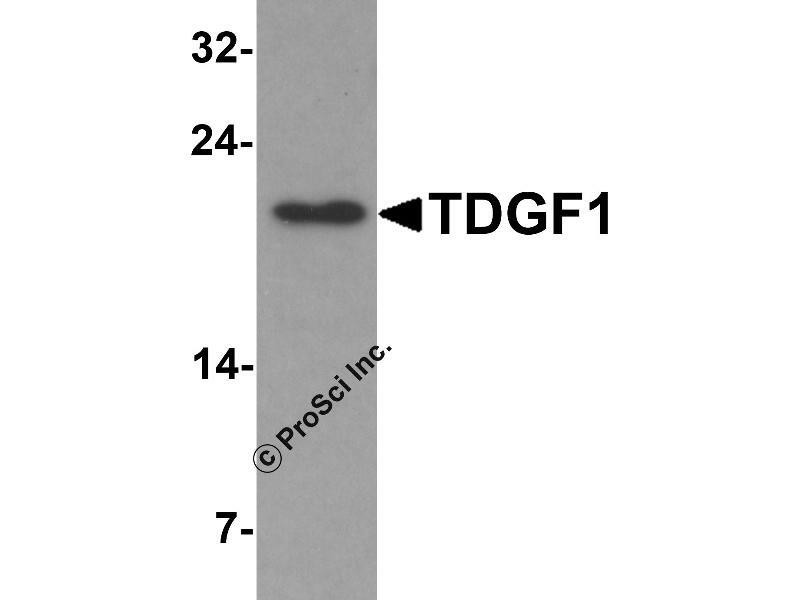 Application Notes TDGF1 antibody can be used for detection of TDGF1 by Western blot at 1 - 2 μg/mL. For immunofluorescence start at 20 μg/mL. Handling Advice As with all antibodies care should be taken to avoid repeated freeze thaw cycles. Antibodies should not be exposed to prolonged high temperatures. 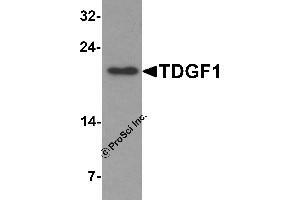 Storage Comment TDGF1 antibody can be stored at 4 °C for three months. At -20 °C stable for up to one year.